Every once-in-awhile, I discover a book that I think is one thing, and it turns out to be quite another. Oftentimes, this is a source of great disappointment to me, and I usually do not finish the book. 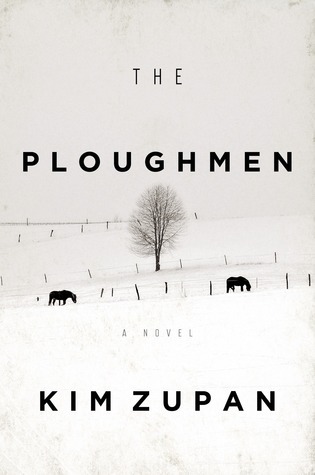 With “The Ploughmen,” by Kim Zupan, I thought I was going to get a Western, or a Western mystery. And yet, in this case, I got a story that refused to fit any category, and yet one with lit up my brain with joy as I read it. The story is set in Montana, and involves a hardened career murder and a morally upright deputy. John Gload, when we first meet him, is hard at work killing people. Gload is a master of disposing bodies so they will likely never be found, and if found, rarely identified. It is clear as the story unfolds that he has been killing people for a very long time. Some of the people in the story he kills for monetary gain. But the vast majority of the people he kills just because he doesn’t like them, or perhas just because he can. One day, John Gload’s luck runs out, and authorities tie him to a murder. Police arrest him and he sits in the jail, awaiting trial. Enter Valentine Millimaki, a troubled deputy who is unable to comprehend how his marriage is in the process of ending. His job is to sit, during the long Montana nights, in the jail with John Gload and make sure he and the other prisoners in the cell block have a safe and restful night. John Gload, however, suffers from chronic insomnia, and before long, he and Valentine have started talking. Through their conversations, we get a glimpse of the complicated inner lives of both men. And when John Gload decides he has had enough of prison, we get to see the true natures of the two men as they deal with the cards they’ve been dealt. I can categorize this book more by what it’s not than what it is. It’s not a Western, it’s not a mystery, and it’s not a thriller. It *is* a beautifully told book, one that will bring the Montana wilderness come to life in your mind’s eye, a tale that will explore the depths of the human heart. Mr. Zupan’s bio says he’s worked as a carpenter for 25 years while working on his writing. I would say that his work was quite excellently done.